The sestiere (quarter) of St.Mark is the original centre of the city so called "rivoalto" (from here the name "Rialto") it is faced on St. Marks’ Basin and the Gran Canal, it confines with the "Sestieri" of Castello and Cannaregio, part of the "Sestiere" is St. George island. (that can be reached by public water bus). St. Mark is linked with S. Polo by Rialto Bridge and Dorsoduro by Accademia bridge. This area ha a 1000 year of history on its back, it has been since ever the fulcrum of the political, economical and religious life, this is why it is the richest of history and operas of the City. Our tour begin in St Mark’ s square, however an infinite number of itinerary can be followed. Piazza St. Marks’ is surrounded by the "Procuratie", with our back to the church we have on the left the "old procuratie" buildt on the XII century, on the lef the "new procuratie" (from the second half of 500, on the front we have the "Napoleonic wing" (host the Correr museum) erected on the 800 after the demolition ordered by Napoleon of the church of San Giminiano. Again on the right on the beginning of the "new Procuratie" ther is the Clock tower, freshly restored. In the square there is also the St Mark’s tower, open to visitors, from the top you can admire the whole city, it is more than 100 meters tall (105) the original building collapsed in 1902 , rebuilt and inaugurated in 1912. on its top there is an angel mounted on a ball bearing, the angel spins when the wind blows so it’ s easy for a Venetian to predict the weather. 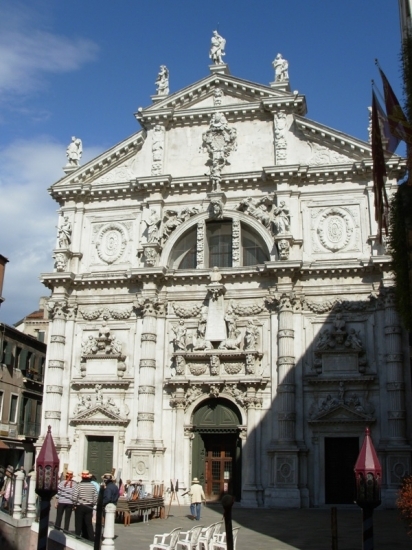 The St. Mark’s church (called also "Marciana"), is a well known example of Byzantine architecture in Italy, it was since the beginning the Doge Chapel (passages lead to the Doge Palace) and the fulcrum of the History of the republic, here were consecrate, Dogis and blessed Captains and conqueror on their way to a war. 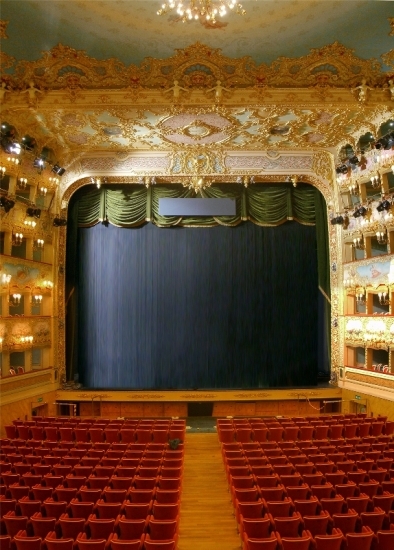 Theatre of the most important historical events. The first church dedicated to the cult of St. Mark was erected over the ruins of a palatine church in 828 to guard the relics of St. Marks stolen (as per tradition) in Alexandria Egypt by two Venetian Merchants. The actual church is dated 1094, during the century it has been decorated and enriched with sculpture and mosaics, the façade was rebuilt with marble and become the jewel that it is possible to admire now. Many operas collected are wars booty, the most famous example of it is the quadrille (square golden and silver bronze) from the sack of Constantinople during a crusade, also the “ tetrarchi” (a red stone statue from the III century representing 2 cesars and 2 Augusts) come from the sack of Constantinople in 1204. 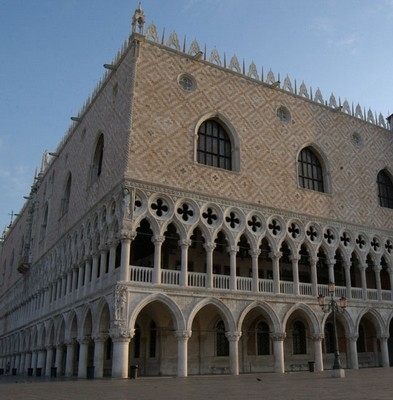 Can't remain indifferent in front of the massive and beautiful "Palazzo Ducale" the Dogis palace. 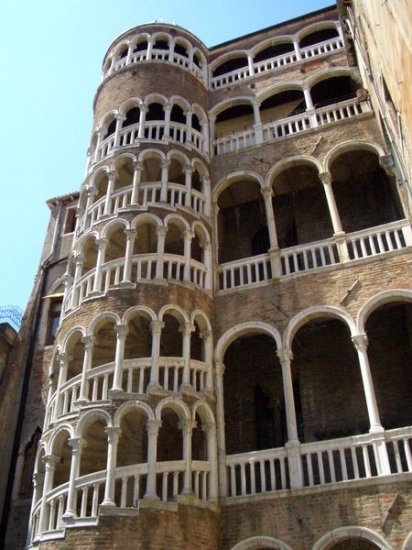 A gothic masterpiece, it was the Doge and Venetian magistrates residence. Now is site of Civic museum. The palace is the results of the sum of several building/rebuilding, the first one was a Byzantine style castle from IX century (probably erected over a previous Roman era building) then rebuilt in 1577 after a fire. If you have a bit of time to spend we suggest a guided tour inclusive of the secret itinerary (to be booked) this allowed you to visit part inaccessible to most of the public. To be mentioned the St. Marks and Todaro columns (surmounted by the statue of the respective patron saint of the City) they are part of the monumental entrance from the sea together with the Dogis Palace and the Procuratie. Behind The Dogi Palace you can admire the very famous "bridge of sights" (from "ponte della Paglia" or ponte della Canonica ) originally accesses to the prisons from here begins the "Sestiere di Castello". 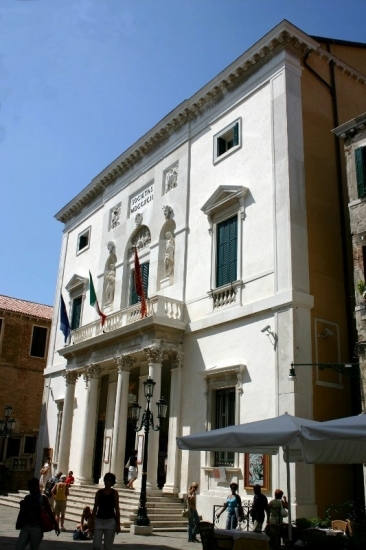 In St. Mark’ s quarter has to be mentioned the Fenice theatre, the main lyric theatre of the city, a project by Architect Gian Antonio Selva, it burned down twice, in 1836 an then in 1996. Well worth to visit the area around Rialto Bridge and St. bortolomeo square, the minutes walk from st. Mark’s square, close to the bridge also the "Fondaco dei Tedeschi". The most sophisticated and famous boutiques of the word can be found around the area: Gucci, Prada, Louis Vuitton, Valentino, Cartier etc..so if you are on vacation with your girlfriend or a wife be patient (need also a fat wallet) it would be a quite loooong day! Following the shadow of the tower, from this habit was born the term "ombra" (shadow) to order a glass of wine.